Honey, the nectar of flowers, collected by the honeybees thousands of trips to numerous flowers, is the sweet savor of labor. It's the honeybees food (carbohydrate) and the pollen is her protein. For humans, its many things. It is mankind's oldest sweet and thus the source of their first alcoholic beverage. Legends speak of honeymoons, as giving honey was a special offer. Today, we have many types of other sweets but none offer what honey still provides. Raw honey is a treasure chest of nutritional value and medicinal remedies. It contains many vitamins and minerals, including traces of pollen and propolis. It is a natural and powerful medicine both, internally and externally. Refined sugar, on the other hand, offers empty calories, is man-made and has no nutritional value. 2 teaspoons at night is recommended for those troubled with insomnia. Many have sought raw honey for its positive affects against allergies and hay fever. Honey contains glucose and fructose, which are easily assimilated monosaccharide (simple sugars). Compare that to refined, white table sugar which contains disaccharides and have to be broken down with insulin produced by the pancreas before entering the bloodstream. Externally, raw honey is a sterile and painless wound dressing. Apply it directly to open cuts, abrasions and burns. Cover it with a piece of gauze and the results will occur quicker than with conventional alternatives, such as salves and creams. These results were proven in a scientific study and published in the Surgeon's Journal of Medicine back in 1982.
whether it's in your cookies or in your first-aid kit. Raw honey may become granulated, as some do in a week or so and others not for several years. Simply place it into a pan of hot water (not boiling) and let it stand until becoming liquid again. 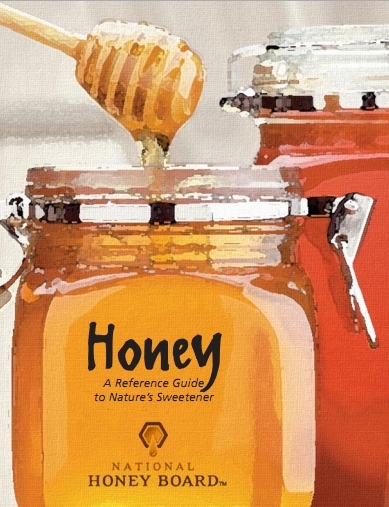 Fresh from the Honey Board in the USA, a reference guide to nature's purest food, honey. (For more detailed information on recent medical and clinical studies, visit our blog at http://beehealthyfarms.blogspot.com).